LOS ANGELES, March 15, 2011 -- The Northrop Grumman Foundation will provide up to $1 million to support earthquake and tsunami relief efforts in Japan, continuing the Foundation's tradition of support for those victimized by natural disasters around the world. The Foundation will contribute $500,000 through three agencies supporting the Japan recovery effort: AmeriCares, American Red Cross International and Save the Children. 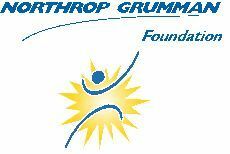 The Foundation has committed another $500,000 to a Northrop Grumman employee matching gift program for Japan relief. "The images of destruction and suffering in Japan caused by the earthquake and resulting tsunami have deeply touched us all," said Sandra Evers-Manly, president of the Northrop Grumman Foundation. "Northrop Grumman employees extend their heartfelt sympathies to the victims and their families and recognize our many fellow citizens and employees who have ties to the country." On March 7, Northrop Grumman became a member of the American Red Cross Annual Disaster Giving program. Through this program, the company has committed $500,000 to help provide the organization with a reliable funding base and support immediate relief efforts wherever they are needed around the world. "The Northrop Grumman Foundation is proud to join the company in supporting the American Red Cross and its vital humanitarian mission. As recent events have shown, there is a clear need for prompt response and assistance," said Evers-Manly. âŞThe Northrop Grumman Foundation supports diverse and sustainable programs for students and teachers and creates innovative education experiences in science, technology, engineering and mathematics. In times of national and international crisis, the Foundation board of directors can approve contributions to aid in disaster relief.